He has beautiful red colored complexion. 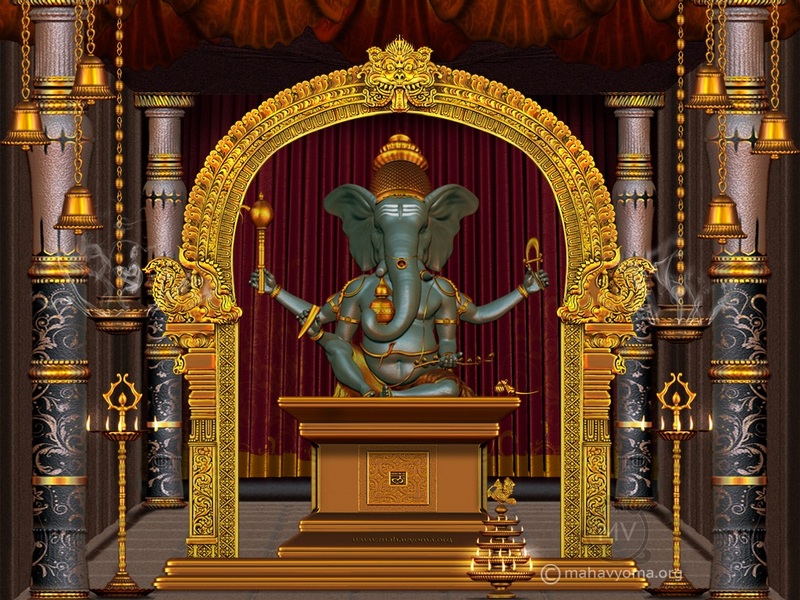 He has four arms with tusk, a noose, goad and a sprig of the kalpavriksha (wish-fulfilling) tree. He carries a golden pot with precious gems in it. He blesses the people with abundant of boons.